Whilst productivity should always be on the minds of HR leaders, there’s one overlooked aspect of your department that could be sapping away at your staff morale. 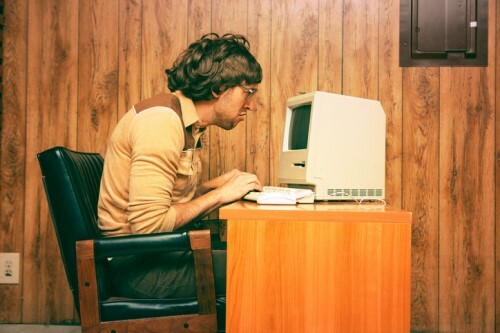 A recent study from Unisys found that outdated technology is annoying employees – with 51% of workers at ‘technology laggard’ organizations feeling frustrated with their current tools. When you consider just how much time employees spend interacting with technology in their day-to-day roles, an annoyance that may seem insignificant to an employer could have the propensity to push a worker towards the door. With that in mind, HR Tech News has identified three tech trends that deserve to be thrown out with the trash – and suggested what you should be replacing them with. Employers are like magpies when it comes to selecting an HRIS platform. It’s easy to be seduced by the shiny new toy with the massive price tag – but you’d be mistaken if you think a higher price means higher quality. The truth is, every business has different needs – there’s no one ideal solution for all HR departments. Firstly, consider if you even need a new software. There are some solution providers out there, like The Cloud Connectors, which can make all of your separate HR functions speak to each other – essentially eliminating the need to buy a huge suite. Before throwing money at the technology and expecting everything to come up roses, pinpoint what you would like to enhance in your HRIS and go from there. Nothing annoys employees more than trying to navigate outdated timesheets – particularly when it comes to submitting their vacation requests. When technology first entered the HR scene, tools for automating holidays and sick leave were probably one of the first aspects to emerge. However, we’ve moved on since then. If even one of your workers comes to you to complain about the bad usability of one of your systems, it’s time to start looking towards integration. As with all things in HR, evolution is key to survival. The first point of contact for any potential new hire is your recruitment platform – so it needs to be flawless. Most organizations now have an in-built hiring tool which allows candidates to submit their applications along with some personal information. In theory, the online recruitment platform should make both yours and your candidates’ lives easier – but a system that continually breaks down or is unreliable will only turn jobseekers away. In today’s digital age, it’s time to think about the importance of diversity – and that means diversifying your systems. If you’re still running with a recruitment platform that is inaccessible to candidates with disabilities, or even older workers, then you’re only going to damage your employer brand.